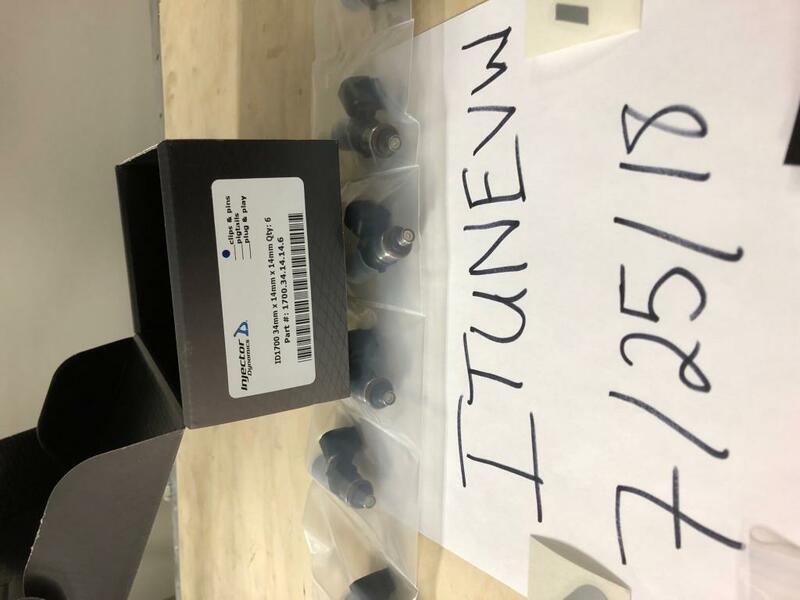 Up for sale is a set of brand new ID1700x Injectors. I had them sent to me as the short version to fit a 12 injector setup for the top rail as a secondary injector. It also includes the top hats and lower injector washer so you can use them as your primary injectors as well. All pieces are brand new from T1. 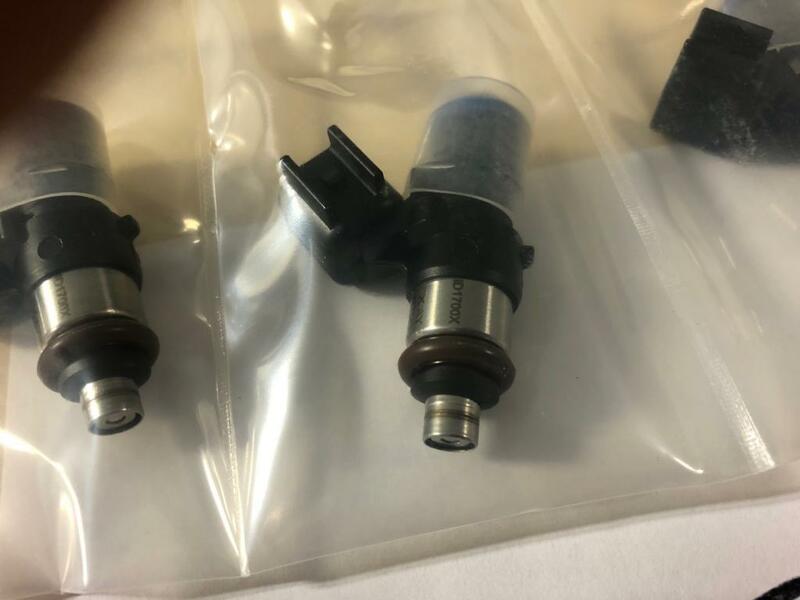 Only reason I am selling is i have decided to go methanol with the car and these are not enough injector for me now. 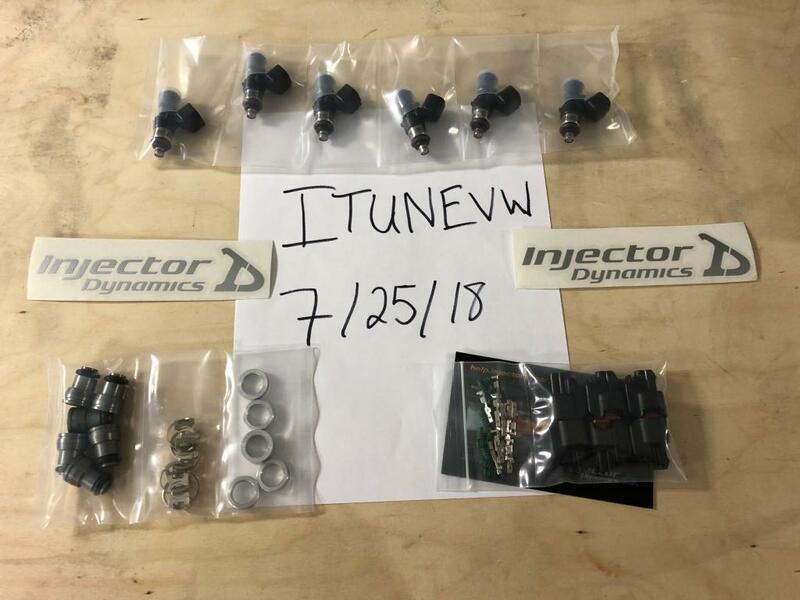 These injectors are the pins and clips version, and do not include PNP adapters. More pictures or information available upon request. Shipping: Willing to ship at buyers expense. Edited by Itunevw, 06 August 2018 - 04:20 PM.